intensely themselves. 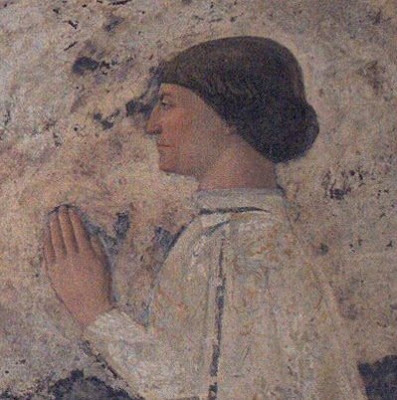 Piero Della Francesca would be acceptable too. Two I don’t want are Watteau and Goya. I like Watteau, but all his people simper, and I love and admire Goya, but most of Goya’s people look crazed." 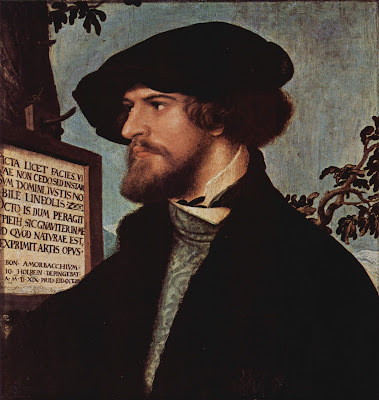 "Absolutely Holbein. 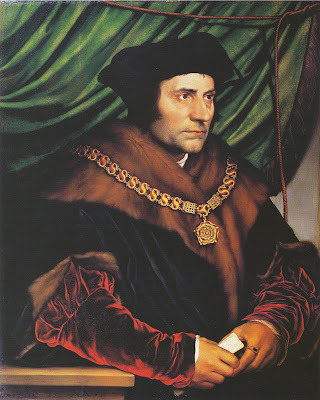 His Thomas More (at the Frick) is the finest portrait I believe I have ever seen, apart from the Rembrandt self-portraits, a class of their own. There also is an extraordinary painting at the Met of a young man by an Italian Renaissance artist, and I can't remember which one. It could be Piero della Francesca. On the other hand, the question is about my own portrait, and in that case I might prefer the painterly depth of the great Rembrandts. Whistler would be acceptable, too." 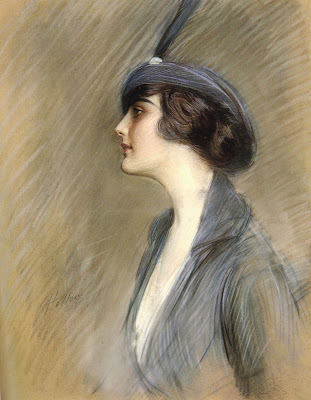 "At the other end of the stylistic spectrum is the extraordinarily talented Paul Helleu, a high-fashion artist of the turn of the century and one of Proust's models for the painter Elstir. As a side note, I was one of the actor/models in Eleanor Antin's Angel of Mercy, a performance piece about the life of Florence Nightingale. One aspect of the piece was a sequence of very beautiful photographs, mostly composed after famous paintings of the nineteenth century. I was a friend of the family in these photographs and was seen playing croquet, listening at a window as Florence played the piano, and leaning back to back with a painter named Patricia Patterson (widow of the recently deceased Manny Farber). In that photo, taken in the open, I was wearing a straw hat and painting on a canvas propped against a rowboat. Only much later, when a friend in St. Louis spotted this photograph in an article in Arts magazine, did I learn that the couple in the original painting by John Singer Sargent (at Brooklyn Museum) were Paul Helleu and his wife. When I asked Eleanor why she didn't tell me I was momentarily Paul Helleu, she replied that I would have ruined the shot had I known, and she probably was right. I loved the nineteenth century clothing, though I wouldn't want to wear it every day. 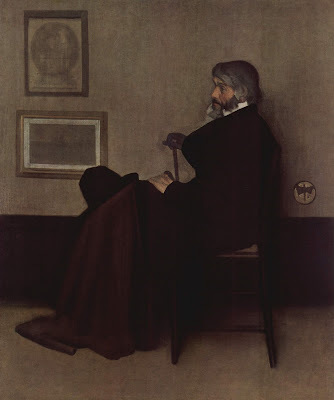 As to painters one would rather avoid, include Goya's idiots and Bosch and Daumier and all the great German Expressionists and Neue Sachlichkeit artists -- Nolde, Kirchner, Marc, Beckmann, Grosz, Dix, etc., etc. Also Ensor, Soutine, Giacometti -- in fact, most of the modern canon." 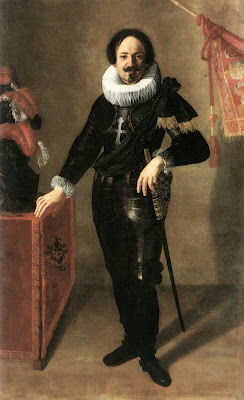 But if I have to sit (or stand) for a portrait for hours on end, I think I'd rather subject myself to Artemisia Gentileschi. This is me after that first cup of coffee, when I've finally got my hair combed. Thanks for posing this question. The more I think about it, the surer I am that I'd be happy to have any artists use me as a subject, just to see all the variations possible and as an insight into how each artist treats a common subject differently. The artists I would avoid (or put low down on the list) would include Irving Penn and others likely to create a too-glamorous look. Georg Grosz or Ben Shahn would be good, though -- rough and bristly." And, of course, more to come! 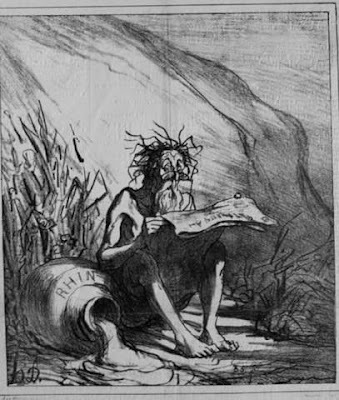 Yeah, I'm waiting for Robert to send in his Goya-esque choices. He looks so perfect for Goya's self portraits. And then there's his Manet option. But I shouldn't give it all away in advance.